A healthy and fruity breakfast or snack that your guests will love! Run the frozen açaí packets under hot water for a few seconds to defrost a bit. Place the contents in the blender. Add the blueberries and the banana. Blend until smooth. 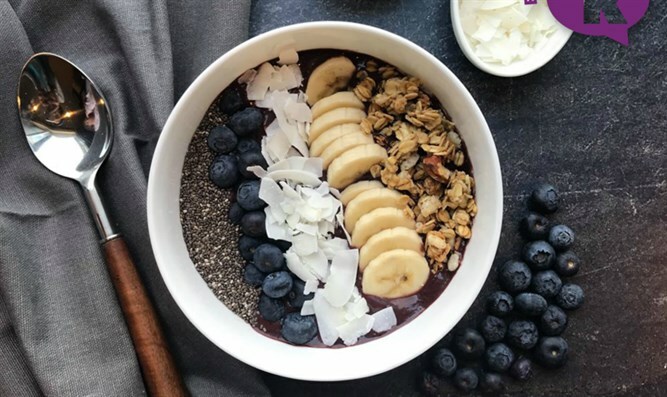 Pour açaí mixture in a bowl. Add toppings on top.